Participants are allowed up to two (2) different photo entries. Read on for instructions on how to submit your entries via Facebook and Instagram. 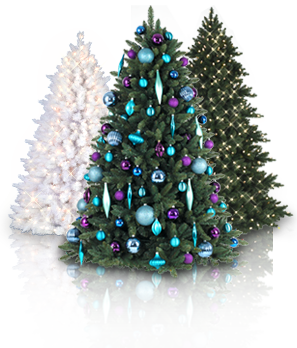 Before entering the contest, upload a photo of your Christmas tree to your Facebook account. Go to the contest app found on the Christmas Tree Market Facebook page and select the action “Submit your Extraordinary Tree Photo from Facebook” to earn three (3) entries. Performing any Facebook actions that require authentication will ask users to authorize the Gleam Competitions Facebook app. Browse through any albums that exist on your Facebook account to select the photo you wish to submit. Privacy setting of this album should be set to public. Via the official contest app, Facebook users can vote for their favorite #xtraordinarytree photos from December 23 to 29, 2016. Contest participants can share their entries through social media to get more votes. The top 12 photos with the most number of votes will be judged and narrowed down to the final three (3) based on the following criteria: 30% creativity, 30% originality, 20% entry description & 20% photo quality. Our sponsor will select and rank our three (3) winners in its sole discretion. Submission of entries starts on December 5, 2016, at 10:00 AM PST and ends on December 22, 2016, at 11:59 PM PST. The voting period is between December 23, 2016, at 8:00 AM PST until December 29, 2016, at 11:59 PM PST. The three (3) winners will be announced on or before January 2, 2017, at 11:59 PM PST. Celebrate the season of cheer with Christmas Tree Market! Visit our official contest page for the full list of mechanics.